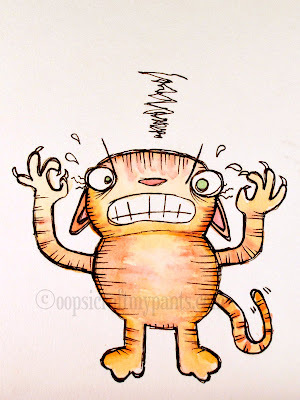 Oops, I Craft My Pants: Kitty hates Captcha, and I do too!!! I totally agree. Sometimes those letters are nigh impossible to make out. I've disabled mine and only get a few spam comments a year. 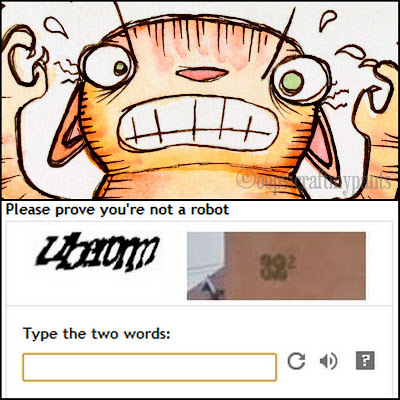 A little tip I use is to refresh the captcha until you get one you can read, although some of them are hopeless. I haven't got word verification on for my comments as I don't like it either, but recently I have been getting about 10 spam comments every day so I am tempted. The spam filter on Blogger is very good though and they don't get published on the blog. Boy do I know how you feel! It's SO annoying! It's my pet hate too!!! I've been getting loads of spam lately, but Blogger's spam filters do tend to catch 99% of them. If people are really concerned about spam why not use the approve comment filter??? 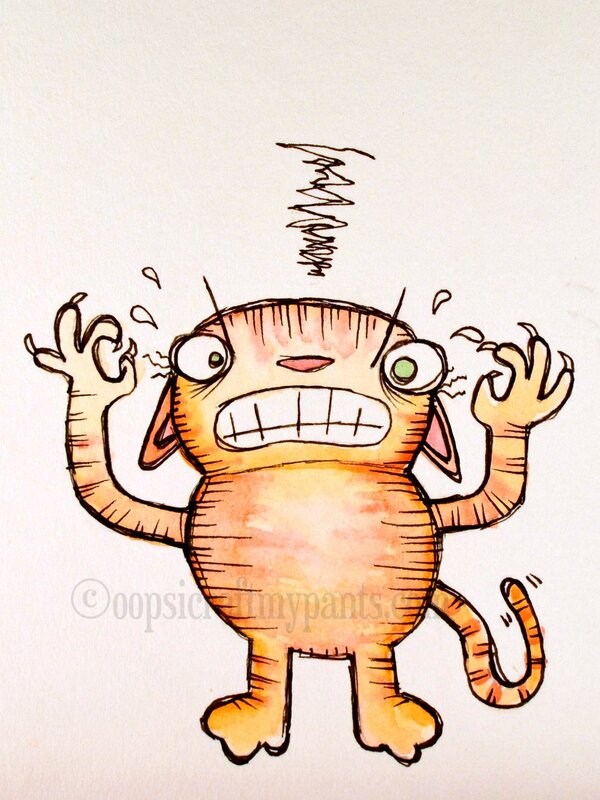 Oh, I love your angry little kitty. So sorry you felt the need to draw it, but it's superb! And yes, I always have to try 4 times before I can actually guess the word verification correctly. Very frustrating indeed! I'm SO with you! There's been more than once I haven't left a comment after being bombed by Captcha a few times. My captcha issue is that I have dyslexia. Regular words are hard for me to type, never mind a freaking jumble of nonsense letters and numbers. I don't have captcha on for my blog, either, and I've gotten 3 spam comments, EVER. As long as you're monitoring your own blog, you can simply delete the spam and move on with your life. I hate, hate, hate how stupid I feel when I try them!! Eek hope it wasn't my blog - I used to have the captcha set up but then took it down when yes I discovered how annoying it is....at least I think I took it down. I agree. I am not sure if my sites have them or not. I will check on that after breakfast. Absolutely agree those things drive me crazy I never have a clue what they say!! I'm with you on this. I'm not sure what I have set up on my blog, though. Anybody want to check it out for me? I think it's just approval by me. Captcha is pure evil. I do get spam comments but it's not that hard to delete them. My settings require first time comment to be approved but from there on they are published right away. I'm with you! They seem to be so much harder to pass these days too. I get a number of spammy comments but blogger catches and filters most of them before they actually make it to my blog.